Dr. Frauke Urban is an environmental scientist specialised on the linkages between energy, climate change and development, especially climate change mitigation, low carbon development and energy policy. Her main regional interest is Asia, particularly China, India and Southeast Asia. She is currently the Principle Investigator for an ESRC-funded project on China’s rise in the hydropower dam sector and its environmental and social implications in low and middle income countries (ESRC grant ref number: ES/J01320X/1). Frauke also works as Co-Investigator on another ESRC-funded project on China’s low carbon innovation in the energy sector. Frauke currently teaches in the fields of Environmental Management, Climate Change and Development, Energy and Development. Her research has been published in Energy Policy, Applied Energy, Energy for Sustainable Development, Climatic Change, World Development, Development Policy Review and other international journals. 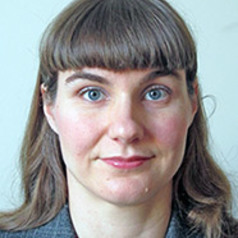 Frauke works as Senior Lecturer in Environment and Development at the Centre for Development, Environment and Policy (CeDEP) at the School of Oriental and African Studies SOAS. In 2015, Frauke was Visiting Lecturer and Visiting Researcher at the University of Heidelberg, Germany and Visiting Researcher at the University of New South Wales in Sydney, Australia. Before joining SOAS she worked as Research Fellow in Climate Change and Development at the Institute of Development Studies IDS at the University of Sussex in 2008-2011. Before that, she was Research Fellow at the University of Groningen in the Netherlands in 2004-2008 and a Visiting Researcher at Tsinghua University, Beijing, China in 2007.